If you thought the only reason to keep your belly fat to a minimum was to show your abs off at the beach, a new study suggests that keeping abdominal fat under control might help keep your brain healthier as well. 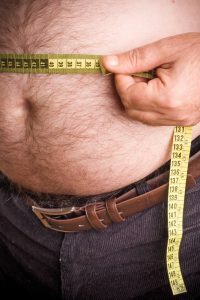 The study of more than 6,000 people, published last week in the journalNeurology, found that the more belly fat the subjects had in their mid-40s, the more likely it was that they would show signs of dementia as they grew older. Symptoms of dementia can include forgetfulness, confusion, reduced problem-solving capabilities and even difficulty speaking. The study also found that the research subjects with the biggest guts displayed three-times the risk of developing dementia later in life versus their leaner counterparts. “Considering that 50 percent of adults in this country have an unhealthy amount of abdominal fat, this is a disturbing finding,” said study author Rachel A. Whitmer, PhD, a Research Scientist of the Kaiser Permanente Division of Research in Oakland, CA, and member of the American Academy of Neurology. Interestingly, having a large abdomen increased the risk of dementia regardless of whether the participants were of normal weight overall, overweight, or obese, and regardless of existing health conditions, including diabetes, stroke and cardiovascular disease. An abstract of the study, Central obesity and increased risk of dementia more than three decades later is available online at the journals website. what is best to get six pack for woman? what is recommend exercise for fast result? Hi, This is my first time I visit your site and honestly, your site are great site with contain a lot of articles or information. 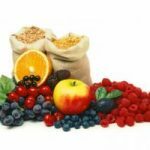 Actually, I also have a few site with related to health niche and your site have given me a few ideas or facts about health. So, I can use that information to write in my blog. Lastly, what can I said is continue writing on your site because I know this site have a good and great future especially in health niche. It is because health niche will never die so continue your work. Keep it up!! Good work.. Thanks. Although this is a very interesting piece of research ,its results should not be misinterpreted. 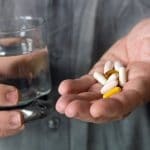 Memory loss or lack of memory performance are greatly affected by the quality not the quantity of nutrients.People with belly fat generally have diets that are processed full of sugar and salt and most importantly lacking in B vitamins and Choline .Adding these and other important ingredients can help improve memory over the long term regardless of the size of belly. Dr Sarah Thornton-Miller (MBBS) is a highly respected London based brain specialist with 25 years of research focus around<a target=_new href=http://www.brain-smart.net/products/BrainSmart-Memory.html>loss of memory</a> and on the effects of the many naturally occurring brain supplements in controlling anxiety,preventing mood swings, or easing attention deficit disorders. Really inspiring article, thank you. Ive heard that belly fat is riskier for mens health than for womens health. is that true? Dementia is such an incredibly sad issue for people to succumb to. This is a very interesting thing to consider because when a person is suffering with dementia the loved ones are the ones that suffer the most. If reducing your amount of body fat is going to reduce the chance that my family and I will have to deal with this horrible issue then I will put the Twinkies down. I have a family member suffering form dementia and would do whatever I can to prevent it from happening to me. Im trying to figure this part out. Are they saying a large abdomen area? So does that mean if you are tall and skinny you are still at risk?